I’ve summarised most of the key points in the following paragraphs. Some of the research findings are very interesting. 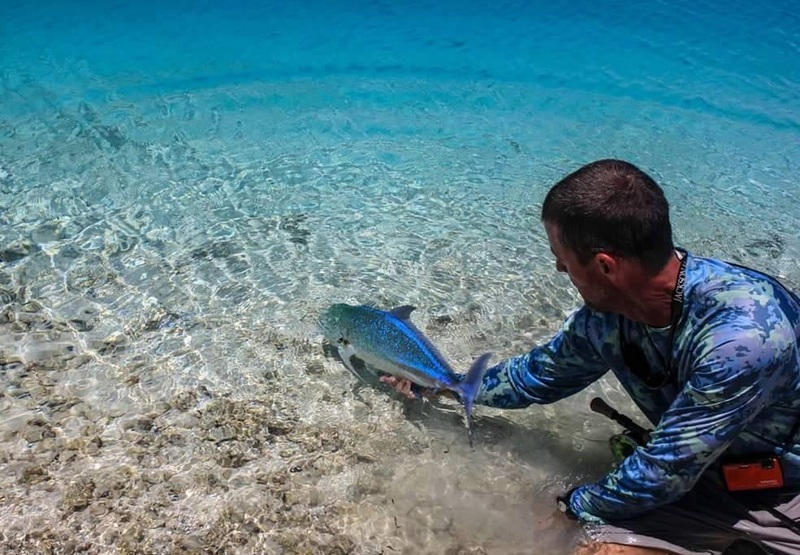 “While catch-and-release is physiologically stressful, stress and therefore mortality can be minimized by following some general catch-and-release guidelines. Gear should be appropriate for the species being targeted, allowing for quick retrieval and hook removal. The use of barbless hooks and circle hooks should be considered to reduce the amount of time required to release fish. Air exposure should be minimized and fish should be released quickly. Depth of capture, hooking location and bleeding should be taken into account when deciding on whether or not to release a fish. One of the key components to the increased use of catch-and-release practices, both by anglers and fisheries managers, is the assumption that fish which are released actually survive the experience. This assumption comes from the observation that when fish are released after being caught they generally swim away, apparently unharmed. However, research indicates that most mortality occurs some time after release (Muoneke and Childress, 1994), thus fish that appear healthy upon release may later exhibit injuries or distress caused by catch-and-release practices. Given the potential impact of mortality on the success of catch-and-release as a management practice, there is an increased demand to understand the level of mortality caused by catch-and-release and determine how various factors may affect catch-and-release survival. The impact of mortality caused by catch-and-release practices is often underestimated by both anglers and fishery managers. From a review of 118 catch-and-release studies which involved over 120,000 fish, the average mortality associated with catch-and-release angling was 16.2%. 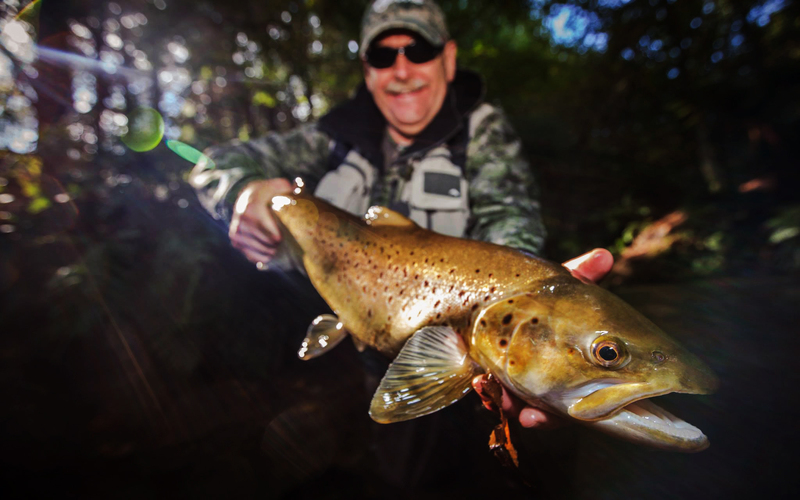 Thus, while many anglers may assume that by practising catch-and-release they are having no impact on the fish population, a significant number of released fish may die. Additionally, many anglers will continue to fish after they have caught their limit under the premise that they will release all further fish caught, however they often do not take into consideration the number of fish which will inadvertently be killed as a result of this practice. A number of studies have attempted to determine the physiological response to catch-and-release procedures (e.g. Beggs et al., 1980; Gustaveson et al., 1991; Tufts et al., 1991; Ferguson and Tufts, 1992; Cooke et al., 2003a). From these studies a number of general responses can be identified. Extended play time can result in exhaustion which is characterised by marked acidosis. Specifically this causes an increase in blood lactate levels and a decrease in extra-cellular pH. Once the fish is landed, air exposure causes the gill lamellae to collapse, causing an almost complete loss of gas transfer. This results in an increase in blood CO2 levels and a decrease in blood O2 levels . Exhaustive exercise and air exposure have been shown to produce an increase in cardiac output, with a decrease in stroke volume and an increase in heart rate. While the physiological response of fish to catch-and-release practices is relatively well understood, little is known about the cumulative impact of these sub-lethal stressors. Some effects of sub-lethal stress caused by catch-and-release are reduced growth, impaired reproductive success and increased susceptibility to disease and pathogens. Mason and Hunt (1967) examined the survival and growth of deeply hooked rainbow trout over a four month period. They found that, of the fish that survived to the end of the experiment, there was no significant decrease in the growth of fish that were released, even for fish in which hooks were left embedded. In examining the effects of catch-and-release on reproductive success, Booth et al. (1994) found that there was no significant difference in the egg survival of angled and non-angled Atlantic salmon. Conversely, Cooke et al. (2000) found that in largemouth bass, which provide parental care to eggs, fish that were angled incurred increased brood predation and increased likelihood of brood abandonment. Similarly, smallmouth bass have been found to have reduced ability to defend their broods after being angled from their nest (Suski et al., 2003). Thus, for some species at least, evidence exists that catch-and-release may result in reduced growth and reproductive success. In addition to sub-lethal physiological stress, catch-and-release practices could cause injury, which, although initially does not cause mortality, may have detrimental effects. 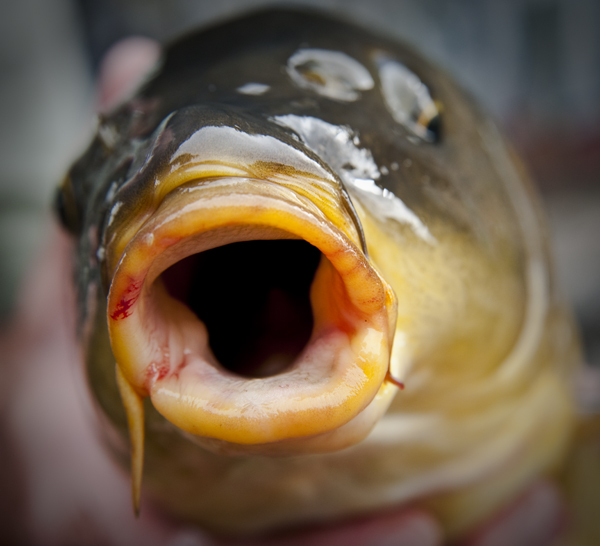 For example, hooks may physically damage gills, jaw, esophagus and eyes. These injuries may inhibit locomotion, feeding or reproduction, all of which may effectively remove previously healthy fish from the population. Although considerable variation exists between species in the effects of gear type on catch-and-release mortality, several generalizations can be made. While there is some variation among species, the use of circle hooks tends to reduce mortality. Circle hooks differ from traditional J-style hooks in that the point of the hook is generally perpendicular to the shank (Figure 1). Circle hooks have been found to be less susceptible to becoming deeply embedded; however, there is some evidence that, in bluegill, the incidence of eye injuries may be greater (Cooke et al., 2003b). In a review of the effectiveness of circle hooks, Cooke and Suski (2004) found that, the use of circle hooks reduced overall mortality rates by approximately 50%, but that there was variation among species. Barbless hooks are often recommended as an alternative to barbed hooks to decrease catch-and-release mortality. In fact, Manitoba and Alberta have regulated that only barbless hooks may used for angling in those jurisdictions to reduce catch-and-release mortality. Barbless hooks have been demonstrated to reduce handling time through ease of removing the hook, thereby decreasing associated mortality (Cooke et al., 2001). Schaeffer and Hoffman (2002) also demonstrated that the unhooking times of barbless hooks were significantly shorter than barbed hooks, however, the same study indicated that anglers landed 22% more fish using barbed hooks than barbless hooks. Similarly, the use of barbless hooks has been found to significantly reduce mortality in trout (Taylor and White, 1992). It has also been suggested that barbless hooks reduce tissue damage. Thus, while barbless hooks are generally less harmful to fish, anglers may be reluctant to use them because they perceive that catch rates will suffer. The influence of bait type on catch-and-release mortality has also been examined in some detail. Hooking mortality has been found to be significantly greater with natural baits than artificial bait. Recently the use of scented artificial bait has increased. It is thought that scented artificial baits may be attacked by the fish in a similar manner as live bait, thus increasing mortality. In support of this hypothesis, Schisler and Bergersen (1996) found that hooking mortality was significantly higher when fish were caught on scented bait than when non-scented artificial bait was used. However, Dunmall et al. (2001) found that there was no effect of scented artificial bait on catch-and-release mortality of smallmouth bass. These studies suggest that the use of organic bait, and possibly scented artificial bait, results in deeper hooking which increases the chances of injury during hook removal and increases the length of time that the fish are exposed to air during hook removal. Thus, catch-and-release mortality can be reduced through the use of artificial bait. 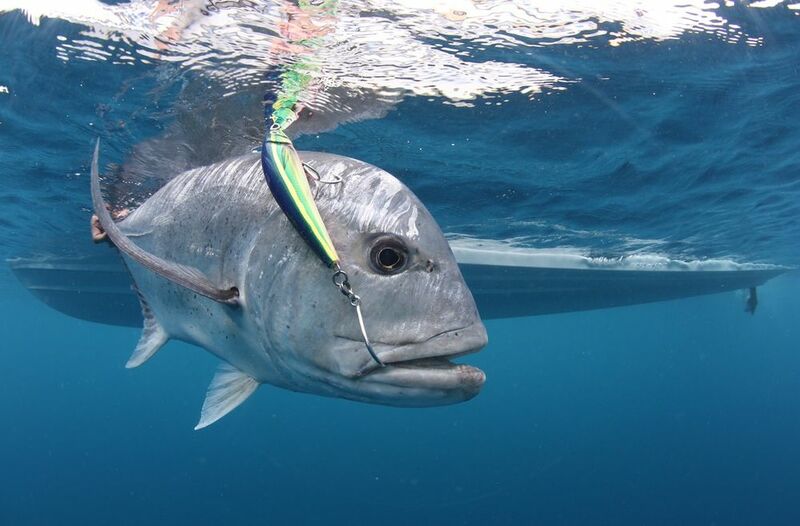 The location of hooking has been shown to affect catch and release mortality. Catch and release mortality of white seabass was directly related to hooking location, and all mortalities involved hook damage to the visceral region (Aalbers et al., 2004). Similar results have been found for largemouth bass in which 56% of fish hooked in the oesophagus died, while the mortality of fish hooked in other areas was not significantly different than fish that were not hooked at all (Pelzman, 1978). Dextrase and Ball (1991) found that hooking mortality of lake trout was largely restricted to those fish that were deeply hooked. Mortality in northern pike was also greater in fish that were deeply hooked (Dubois et al., 1994). Schisler and Bergersen (1996) reported that mortality of rainbow trout was significantly greater for fish hooked in the gill arches or oesophagus than superficially hooked fish, and this increased mortality was attributed to bleeding intensity associated with hooking location. These studies all point to the fact that fish which are deeply hooked suffer increased mortality. While the increased mortality associated with deep hooking is understood, it is less clear as to whether it is better to cut the line of deeply hooked fish or try to remove the hook, potentially risking further injury and increased air exposure to the fish. Aalbers et al. (2004) examined the growth and survival of white seabass up to 90 days after catch and found that survival of fish released with hooks left in place was enhanced, as compared to fish with hooks removed, but that growth was reduced. When hooks were removed mortality was 65%, compared to 41% when hooks were left embedded. Of the fish in this study that were released with the hooks left in place, 39% had successfully shed the hooks by the end of the study, however, of the hooks that remained in place there was minimal degradation. These results are similar to those found by Mason and Hunt (1967), who examined the effect of hook removal on the survival of rainbow trout up to four months after release. Two-thirds of the fish released without hook removal survived, while only 11.5% of the fish which had hooks removed survived. Additionally, of the fish that survived with hooks left in place, more than half had shed the hooks by the end of the study. Schill (1996) found that cutting the line on deeply hooked rainbow trout reduced mortality from 58% to 36%, and 60%-74% of fish that were released with hooks left in place had managed to discard the hooks by the end of the study. It has recently been suggested that for species such as bass and walleye, it may be possible to reduce mortality caused by deep hooking by removing the hook through the gills (Strange, 20034). However, to date there have not been any empirical studies which have demonstrated the effectiveness of this technique. Thus, despite the relative few studies which have examined the effect of deep hooking on mortality, it appears as though, for some species, mortality can be reduced if deeply hooked fish are released with the hook left in place. All studies show that the chance of mortality increases if fish are bleeding so anglers should consider keeping fish that bleed profusely. When fish are caught and retrieved quickly from deep water, injury may result from depressurization. Depressurization can result in over-inflation of the gas bladder, inability to submerge when released, gas embolisms, internal and/or external haemorrhaging and death. Freshwater fish have one of two basic types of swim bladders. Fish, such as carp, esocids, trout and salmon have a duct which connects the swim bladder to the alimentary canal. These fish can expel gas and make buoyancy adjustments more quickly than fish such as, bass, walleye, perch and most panfish which lack a connecting duct and rely on diffusion to deflate their swim bladder. Thus, while susceptibility to depressurization varies among fish species, it has the potential to be a significant source of mortality (Kerr, 2001). To release fish that suffer from depressurization a technique known as “fizzing” has been developed to artificially deflate swim bladders by puncturing the swim bladder with a sharp instrument. In a review of “fizzing”, Kerr (2001) suggested that the practice should be discouraged, as significant damage can result from the procedure, and that fishing deep should be restricted if fish are intended to be released. To prevent potential decompression, catch-and-release angling for species in deep water should be avoided. Evidence suggests that catch-and-release mortality is directly related to water temperature, with mortality increasing at extreme temperatures. In a seasonal comparison of hooking mortality of bluegill, Muoneke (1992b) found that mortality was greater in the summer when water temperatures were highest. Similarly, mortality in cutthroat trout has been shown to increase from 0 to 8.6% as water temperature increased from 8°C to 16°C (Dotson, 1982). Wilkie et al. (1997) examined the post-exercise physiology of Atlantic salmon at 12°, 18° and 23°C, and found that physiological recovery was slowest at 12°C, however, there was significant mortality at 23°C. This result suggests that warmer temperatures facilitate recovery but that extremely high temperature increases mortality. These studies demonstrate that catch-and-release mortality increases with temperature and special care should be taken with fishing during extremely warm weather. There has been a similar concern with releasing fish that have been angled during ice fishing and exposed to cold temperatures. It has been suggested that eyes and gills can be damaged from freezing on extremely cold days. However, studies examining catch-and-release survival of walleye during ice-fishing found no evidence of damage or mortality caused by exposure to cold temperatures (Ellis, 2000). Thus, while brief exposure of fish to cold temperatures may not cause mortality or damage, it is best minimize the time that fish are kept out of the water when ice-fishing. Despite the widespread use of landing nets by anglers there has been relatively little investigation into the damage caused by their use or which of the available types of net result in the lowest injury to fish. Generally, it is recommended that the use of landing nets be limited as it is thought to increase fin damage, and remove the protective mucus layer, thus increasing susceptibility to disease. Barthel et al. (2003) examined the effects of landing net mesh type on injury and mortality in bluegill. They quantified the effects of netting for a 168 h period after capture and found that there was zero mortality in fish that were landed without a net while fish that were landed with a net experienced a mortality rate of 4 to 14%. There was also increased pectoral and caudal fin abrasion and dermal disturbance (scale and mucus loss). Of the four types of landing net mesh types compared (rubber, knotless nylon, fine knotted nylon and coarse knotted nylon), the knotted mesh types resulted in greater injury and mortality than rubber or knotless mesh. Thus, injury (and therefore mortality) can be reduced if the use of landing nets is limited to those instances where their use is required to safely land and control fish to prevent mechanical injury. However, when the use of a landing net is required or preferred, it is best to use one made of rubber or knotless mesh. Ferguson and Tufts (1992) found that there were direct effects of air exposure duration on mortality of rainbow trout. Rainbow trout that were chased for approximately 10 minutes had a survival rate of 88%, however this fell to 62% for fish that were subsequently exposed to air for 30 s and survival was only 28% for fish exposed to air for 60 s (Ferguson and Tufts, 1992). This study demonstrates the detrimental effects of air exposure, and highlight the need to reduce handling time and air exposure during catch-and-release. In addition to the immediate effect of catch-and-release, fish may not physiologically recover for some time after being released. Beggs et al. (1980) found that angled muskellunge required 12 to 18 h to recover from acidosis caused by angling. Similar recovery periods have been observed for wild Atlantic salmon, which after being exercised for approximately 10 min, were found to have extracellular acidosis which lasted for about 4 h and blood lactate levels which remained significantly elevated for at least 8 h (Tufts et al., 1991). The length of time required for fish to recover from catch-and-release practices may help explain why mortality is often delayed until after release. Fish size is thought to be related to Catch- and-release mortality because larger fish are more difficult to handle, thus higher mortality may be expected with increased fish size. In support of this hypothesis Meals and Miranda (1994) found that mortality of tournament-caught largemouth bass was significantly greater (29% vs 9%) in fish greater than 18 inches in length when compared to fish that were between 12 and 14 inches in length. It may be reasonable to expect that large species, such as muskellunge and pike, to be more susceptible to mortality than smaller species. 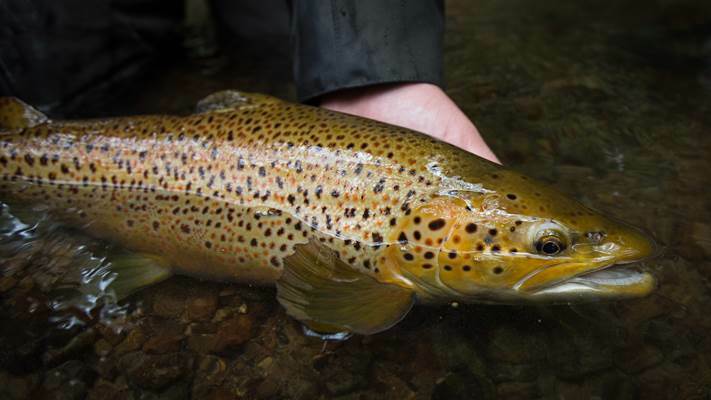 These large fish are often played for longer periods of time and handled longer for photographs, this results in a larger physiological disturbance after angling. Thus special care should be taken when handling large fish to minimize injury and mortality”. One final comment about holding fish for a photograph. Support the fish under hard tissue (head and tail) and not the belly. It may not make as attractive a shot but it will help ensure fish survival. With the deep water fish gas bubbles form in the eyes,tearing the tissues apart,and making them protrude out of the sockets,… the nervous system system is blowen apart …,skin seperated in spots…,bubbles form in the internal organs tearing them apart…i dont understand how the fisheries managers can say that if you send them back down like that they can survive….yet they require rigs to do just that on parts of the west coast,say they get much more lively when you do ….who are they kidding?dont they have any idea about what happens when something is shreded apart and blowen up from the inside like that?am i wrong?can fish put there eyes back toghther ?brain and nerves pull back toghter and gills function well enough to survive?